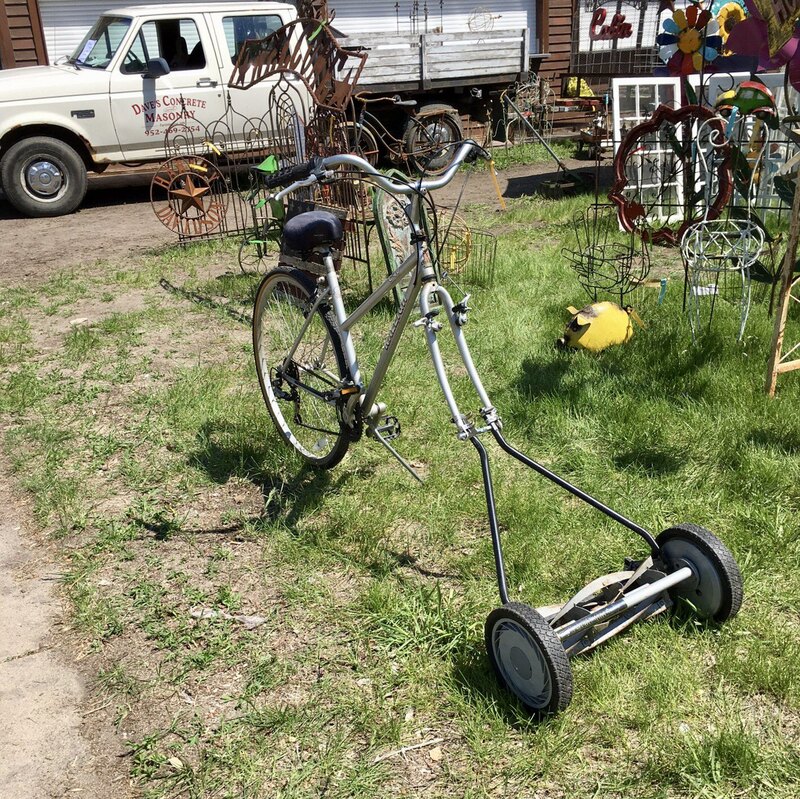 My mother sent me this photo of a “bike mower” that she saw at a garden show today. What kind of horribleness is this! ?